I first had this pumpkin curry at a restaurant in Soho called Kricket. 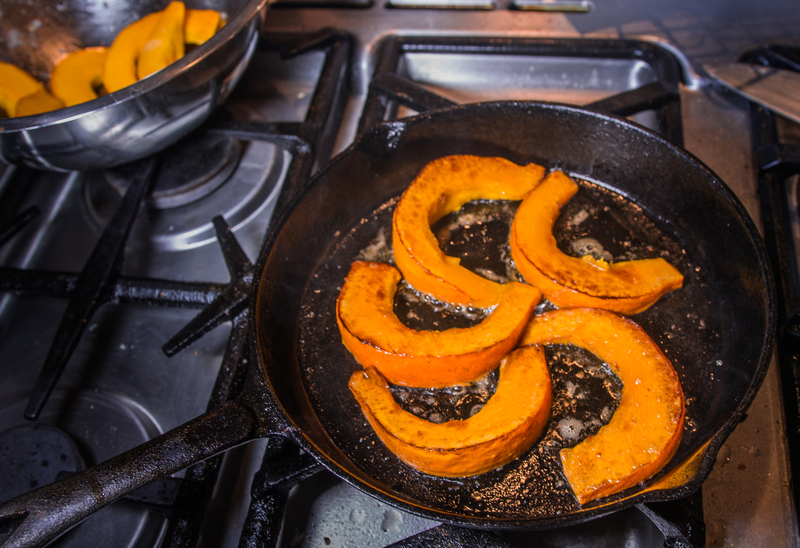 I was hooked the moment I saw these beautiful, charred crescent-moon slices of pumpkin draped with a silky makhani sauce. It really makes the pumpkin the star rather than just the thing that happens to be in the curry. I recommend serving with hot buttered flatbreads while they’re still almost too hot to tear. Fry the onions in the butter over a medium-low heat for 15-20 mins/until tender and lightly browned. Add spices, ginger, garlic and chillies and fry for 5 more mins. Add tomatoes and coconut milk and simmer for 30 mins, stirring occasionally. While the curry is simmering, roast the pumpkin for approximately 10 minutes until nicely browned on the outside. Turn the oven down to 170C and continue to roast for about 20 minutes, until tender enough to be easily pierced by a fork. Remove from the oven and discard the thyme. Season the curry with salt and finish with double cream. 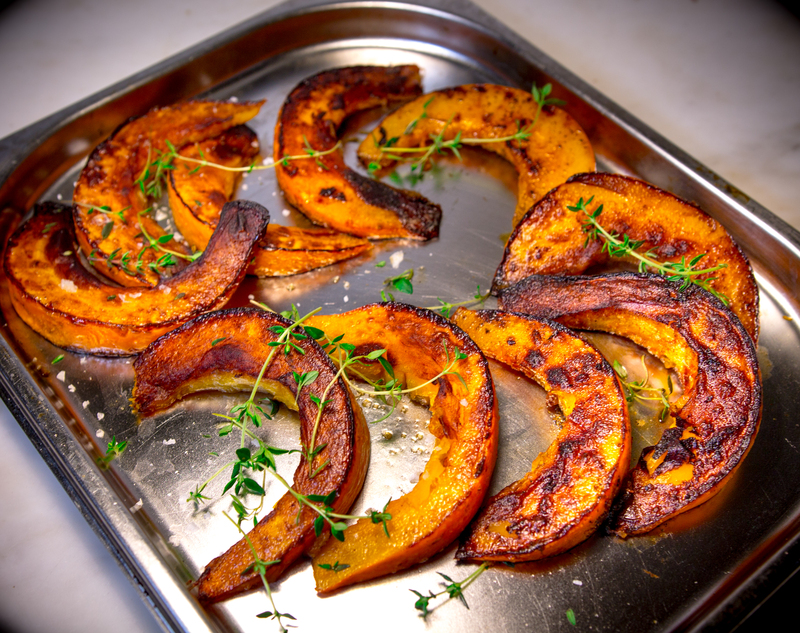 Add the pumpkin wedges to the curry and garnish with fresh coriander & flaked almonds.